People who buy into this myth see MBAs as the antithesis of what Silicon Valley values — contrarian thought, resourcefulness, the capacity to build stuff, etc. Few entities have funded more successful seed stage startups than Y-Combinator, and I have immense respect for the organization that PG has co-created. That said, I respectfully disagree that “so few really big startups [are] founded by MBAs.” It’s a myth that we can put to bed right now. 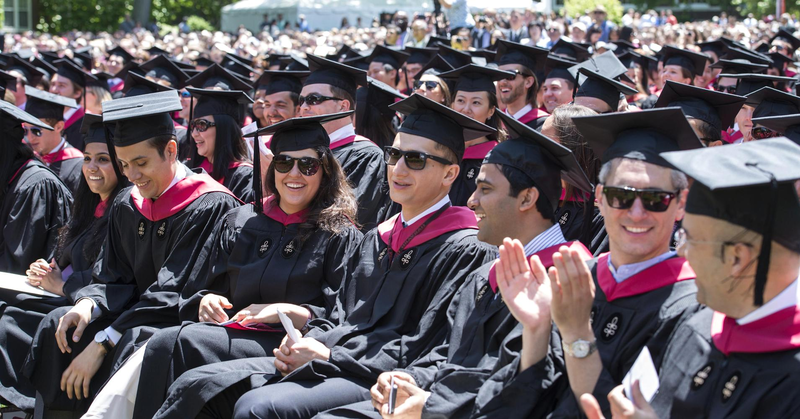 In more recent cohorts, we see some younger HBS companies that have the potential to achieve breakout success as well. For instance, HBS 2013 launched Dia&Co ($20M raised), Farmers Business Network ($84M raised), and Handy* ($111M raised). Wharton: Warby Parker (2010, $1.2B in 2015), Deliveroo (2012, $800M in 2016). Our friends at NextView Ventures did a more comprehensive study of the MBA startup ecosystem that I’d encourage you to read here. I find it strange that we keep reiterating this myth when there is clearly evidence to the contrary. Billions of market capitalization have been created in the last decade by more than a dozen startups founded from these three business schools alone. Instead of disqualifying entrepreneurs by their choice of a career path, we should affirm that there is no “one path” to building a company. The data proves it out. If you’re an MBA with a great team and an innovative idea, hit me up. I will be at Stanford GSB on 4/20 helping teach an Entrepreneurial Finance class, and I will be at HBS on 4/25 judging the finals of the New Venture Competition. Hope to see you there! * Disclaimer: I have an economic interest in these companies as a partner at Lightspeed or a prior fund. ☞ Also, show me some love by clicking “♥︎” to help to promote this piece to others and following me on Medium. ☞ Or, if you want to continue the discussion, please leave a response below. VC at Lightspeed. Consumer tech enthusiast. Partner to AWA Studios, Daily Harvest, Faire, Vector, Zola, thredUP, RentJuice/$Z, $TWOU, $CBLK. Reformed physicist.